Dublin ambulance row between council and HSE dates to 2010 – The HSE, which delivers ambulance services across the State outside Dublin, and to some extent in Dublin too, has been consolidating its National Ambulance Service into a centralised one since its establishment in 2005. It took one of the most important steps in this process in January when the NAS completed the move from six control-and-despatch call centres to one, operated across two sites in Ballyshannon, Co Donegal, and Tallaght, Co Dublin – each acting as a back-up to the other. Standing in the way of it running a truly national ambulance service is Dublin Fire Brigade, which has provided a fire-fighter and paramedic service since 1898. Dublin Corporation was the only local authority to retain its ambulance service in 1970 when, under the Health Act, others relinquished theirs to the new health boards. Agreement was reached in 1998 that the then Eastern Health Board would pay Dublin Corporation (Dublin City Council) to provide the service. However, correspondence obtained by The Irish Times last year revealed the increasingly fractious relationship between Dublin City Council and the HSE. In emails, senior council officials accused the HSE of “short-changing” the local authority in relation to alleged arrears of more than €10 million accrued since 2005. The correspondence, dating to 2010, culminated in a letter from city manager Owen Keegan to the director general of the HSE, Tony O’Brien, in November 2013, in which Mr Keegan accuses the HSE of “refusing to abide by the terms” of the 1998 agreement. 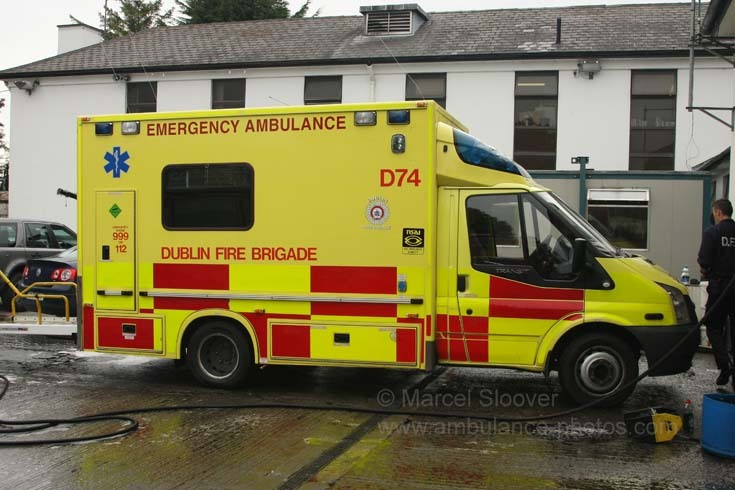 The emergency ambulance service in Dublin costs about €12 million a year, to which the HSE contributes €9.2 million. The November 2013 letter came three months before the HSE and the council announced a joint review of ambulance services in Dublin. Suspicions that this was a precursor to a HSE takeover of Dublin’s ambulances seemed confirmed when in March 2014 The Irish Times published details of a confidential HSE plan to provide all ambulance services in Dublin “by the end of 2015”. A report from health watchdog Hiqa in December, which recommended closer alignment between the DFB and the NAS, must have played well with both Mr Keegan, who feels too much of his council’s budget is going on an ambulance service the HSE should be paying for, as well as with the HSE which would like to take control of it. Mr Keegan, in his briefing document to councillors on Monday night, said the NAS despatch centre in Tallaght would “assume all responsibility for call taking in respect of all emergency ambulance calls in the Dublin region”. Despite his insistence that “DFB is not getting out of the provision of an emergency ambulance service”, it is difficult not to have sympathy with the view expressed by Siptu convenor Gerry Harris that this is the beginning of the removal of Dublin’s ambulance service from Dublin Fire Brigade.